Here are three predictions for the next few years: 1) ISIS will continue to consolidate its territory in Syria and Iraq, and extend its reach in Afghanistan and Pakistan at the expense of al-Qaeda and Taliban groups; 2) there won’t be a major military assault on ISIS due to the reluctance of US and Arab leaders; 3) more western Muslims will go on to join ISIS. Here’s one brutal fact: ISIS will remain the Middle East’s problem more than ours in the west, going by the number of people killed and destruction caused. Which leads me to two questions: 1) how should the British state respond to the security threat ISIS poses here? and 2) how should British Muslims respond? – neither of which have been adequately addressed. The next Labour leader needs to confront these questions, not only because a counter-terrorism bill is coming up but because our entire security policy is a mess. Cameron’s made-for-tabloid speeches, including the one last week, have rarely helped or shed light. When British Muslims have written on this issue, it has usually been in angry reaction to someone’s absurd comments. In other words it has largely been a dialogue of the deaf. Most British Muslims have little trust in the government, and those trying to work within the system are regularly hounded by more radical activists. The police and security services know it is much easier to find extremists with the help of British Muslims than without, and we need to start there. This means working with prominent ones – conservative and more liberal minded ones – to tackle anti-Muslim bigotry and discrimination. I’m not saying racism leads to terrorism, I’m saying our Muslim citizens also have to feel this is their country and the government will take anti-Muslim hate as seriously as anti-semitism or anti-black racism. The government established a group to tackle Islamophobia and then ignored it completely. Sensible recommendations on tackling Islamophobic bullying, better police reporting, helpful guidelines for journalists and better security for mosques – all were ignored. Labour should not conflate tackling anti-Muslim bigotry with counter-extremism. This is about resetting that relationship since 9/11. Only then will a proper security strategy work. Nothing undermines our claim that we want democracy, secularism and free speech than our close relationship with Saudi Arabia. It has to end and it was disappointing that even Ed Miliband couldn’t bring himself to condemn it. As I’ve said before, the flogging of Raif Badawi highlights this foolish relationship. The Saudis are the biggest exporter of Islamic extremism on the planet, and have done more to destabilise Muslim countries than anyone, even senior Pakistani ministers have said so. It makes little strategic sense to stick by it. But our foreign policy shift shouldn’t be just about the KSA. We should shun dictatorships, such as those in Syria and Egypt, while embracing and building democracies in countries such as Tunisia. We have to hold Israel to account for denying Palestinians their basic rights to sovereignty. All this matters for several reasons. We have to look consistent and principled in our values and we have to acknowledge that turbulence in the Middle East is more exploited by terrorist groups to get new recruits. It is about ensuring our own long term security. 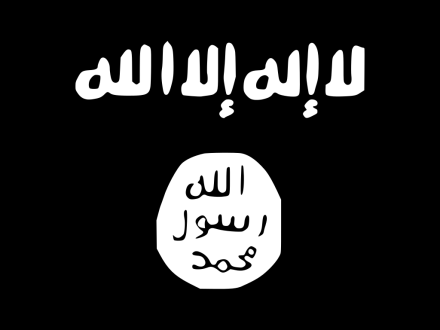 The rise of ISIS was inevitable in many ways: given birth by the destruction of Iraq by George W. Bush and of Syria by Bashar al-Assad, but fed by many factors (see ‘fathers of ISIS’) across the Middle East. “ISIS draws on, and draws strength from, ideas that have broad resonance among Muslim-majority populations,“ as the Brooking Institute’s Shadi Hamid pointed out. So there isn’t a quick and simple way to deal with extremism, as some expect. Hardline Muslim groups in the UK preached about the coming Caliphate for decades and then acted surprised when one was formed. Clearly, there are extremist ideas and individuals here that need to be countered. But the best people to do that are British Muslims themselves. Trying to ban people or ideas or simply singling out Muslims for ‘extremism’ won’t work and will worsen the problem. The government has to work with more liberal minded Muslims on counter-terrorism, those trying to challenge radical narratives and empower women against extremism. But their job is made much harder by the poisonous atmosphere the Tories have created. To give one key example: it was clear that something was not right in what became known as the ‘Trojan Horse’ school controversy. Allegations of aggressive religiosity and mistreatment of non-Muslim students cannot be batted away easily. But there was absolutely no evidence of extremism or radicalisation as Michael Gove said, thereby wrecking an important debate about what was going on and smearing an entire generation of children. This government’s counter-terrorism strategy has been spectacularly unsuccessful and damaging for Britain’s security. It’s time Labour said so and did something about it.